As part of its Christmas promotion, Beirut City Centre gave away 2 Audi Q3 cars to two lucky winners: Nadine Rizk and Sarkis Berlian. The promotion ran from December 1st until January 6th and entitled shoppers to enter the draw simply by spending $100 at any outlet in the mall. The results of the draw that took place under the supervision of the Lebanese National Lottery, were announced on air through a live radio show accompanied with in mall entertainment. 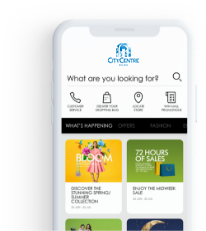 Shoppers can also stay tuned to future promotions and entertainment activities planned through Beirut City Centre’s social portals and advertising campaigns. Beirut City Centre, our centre is you.